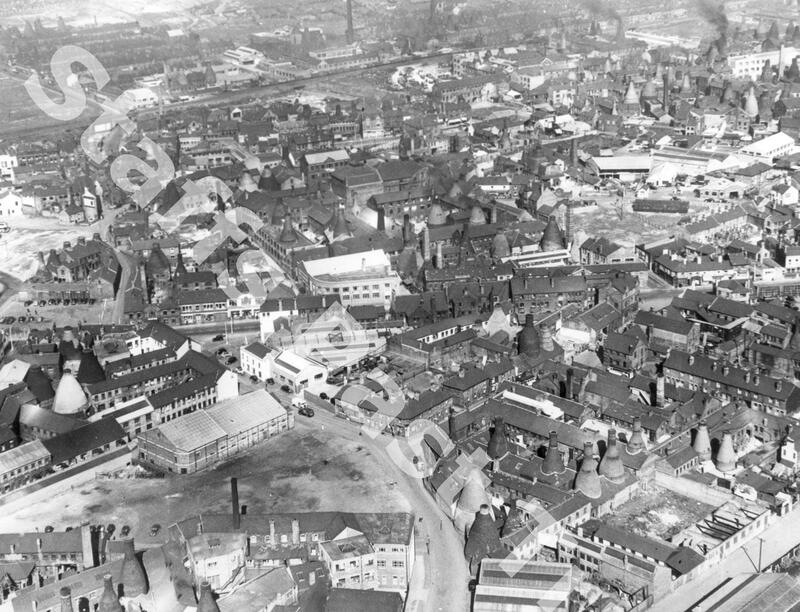 Description:Aerial view of Longton, Stoke-on-Trent. 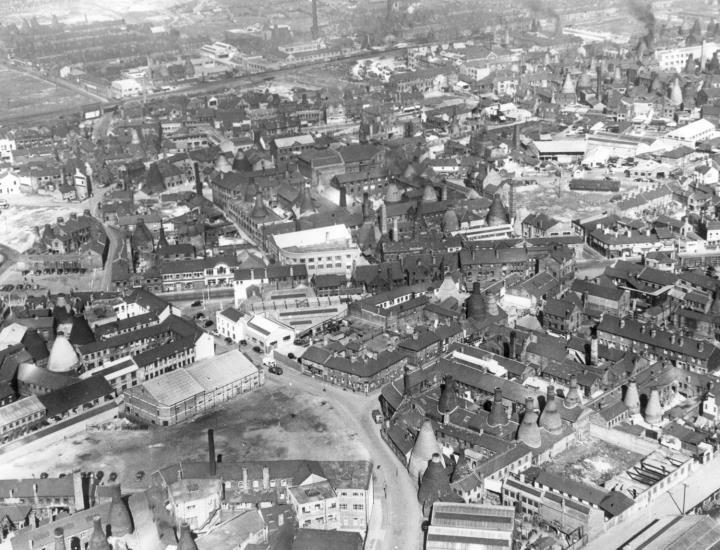 Taken in the 1960s, this view shows many pottery factories, bottle ovens and warehouses. The street running left to right in the middle ground is The Strand.